Today I’m pleased to present another favourite of this blog, Rebecca Bryn. I’m not Welsh by birth, but my children are one-quarter Welsh, their paternal grandmother hailing from Abersychan in the valleys. Her father was a Baptist minister there in the 1930s. Originally from Northamptonshire, I have lived near St Davids in Pembrokeshire for the last 23 years. 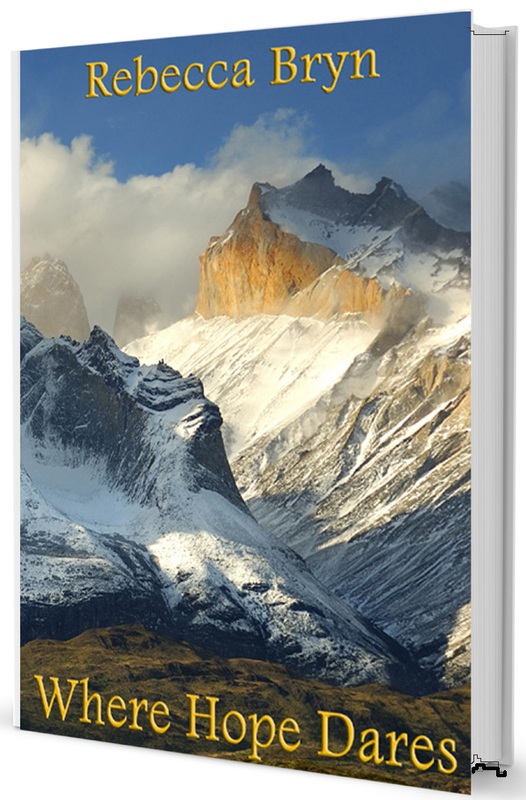 I started writing about ten years ago after helping a friend with proof-reading her novels. I wrote ‘Chapter One’ on a whim and was hooked. Creating a whole world, the way I want it, must appeal to my control-freak nature. I write mainly, as I am now, on the sofa, (Not literally – I have a laptop) husband asleep in a chair, telly blaring and my little collie cross dog’s head on my arm, which doesn’t help with the typos. Also it’s dark and I can’t see the keyboard but I shall disturb husband and dog if I get up and switch on the light. Such is the life of a writer. I’m not sure I know which genre I write in, except that they’re all loosely mystery/thrillers. I go first for a good story with an important theme. The subjects seem to choose me. 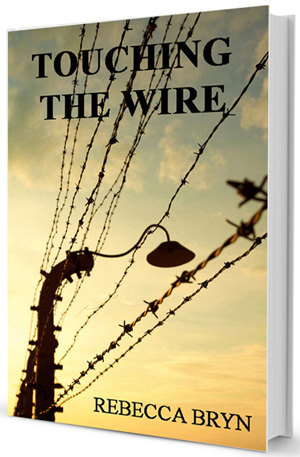 I love historical fiction, so the subject of the holocaust, being the worst episode in recent history, enticed me, for Touching the Wire. Injustice always gets me going, so the release from prison of Angela Canning, and other mothers like her, for the murder of ‘cot death babies’ saw the birth of The Silence of the Stones, which really is a murder mystery-suspense and is set in Wales. My present work in progress, Where Hope Dares, borders on the fantasy genre though it’s a thriller and is grounded in, and inspired by, current scientific thinking. 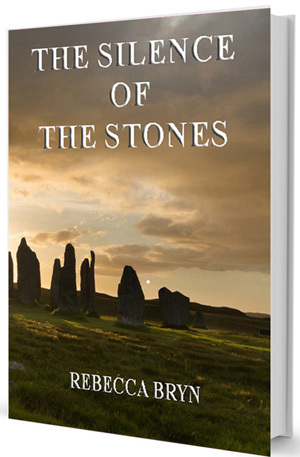 Since The Silence of the Stones is set near St Davids, I’ll tell you a little about that. The inspiration came from several different places. I’ve already mentioned Angela Canning and it didn’t take much imagination to see the damage imprisoning already grieving women would do to them and their equally grieving families. The disappearance of Madeleine McCann, and the thought of having to live with never knowing what happened to my child gave me the shudders. How does anyone live with that? I pondered both these situations and wove them into a background of runes and mythology, inspired by Ogham writing on the windowsill of Nevern Church up the coast from here, and the ancient stone circles and cromlechs of the Preseli Hills. Alana is my favourite character. She’s passionate, selfish, single-minded, heartbroken, creative, sometimes guilt-ridden (usually with good cause), naïve, determined. In fact, she’s flawed, like me, but unlike me she has a lot of courage and not much conscience. She’s the person I maybe could have been if I’d thrown caution to the winds and gone for what I wanted in life when I was younger. My other creative passion is painting. I paint seascapes in watercolour and have work in private collections worldwide. I also love walking. What makes me laugh? My husband and my dog. The last thing that made me cry was Windows 8. I smiled when that computer was struck by lightning! Rob Brydon. He has me in fits. I’d probably have to have a go at making cawl. Roald Dahl. I’ve just realised I’ve named a character after him. It’s a beautiful wild country with a fabulous coastline, quiet and peaceful, with friendly people. Is that too many bests? I’m in the ‘final’ editing stages of “Where Hope Dares”. A brief description of it might go something like this: In a time of social, religious and political upheaval, two isolated cultures clash with devastating results. Kiya, a healer of Berber/Oromo descent, is kidnapped by Alaric The Chosen to fulfil an ancient prophesy and is taken hundreds of miles north across the Haute Atlas Mountains. Her husband, Raphel, a storyteller, sets out to rescue her from a barbaric people who worship pagan gods, with nothing more than hope and a headful of stories. Abe, an enigmatic peddler, to whom they look for help, has his own secret agenda concerning his Catholic God’s chosen people. Who can Kiya and Raphel trust? Who is friend and who foe? I love it when a plot comes together and the characters spring to life. They become real people with hopes and fears, loves and regrets and take me with them on a roller-coaster journey. They make me laugh and they make me cry. The hardest part is finding the time to devote to writing. I try to promote my books most days, and I try to write something most days. Finding the time to do either can often be difficult. Very hard work, and a huge learning curve. I’ve met some wonderful and helpful people on the way and I’m very glad I went down the self-publishing route. Had I known what it entailed, however, I might not have had the courage. Write. Rewrite. Edit. Learn to accept criticism and act on it. Lord of the Rings. I love the complexities of the fictional world Tolkien created. Oddly, Christoph, I have just finished the e-book ‘In Search of a Revolution’ by your good self. A fascinating insight into the ideologies surrounding of the First and Second World Wars. I really enjoyed it. You mean after I’ve stamped around in a huff for half an hour? I take it very seriously and in the spirit in which it is offered. It always contains a large grain of truth and is always helpful. Criticism of Where Hope Dares has led to it going off in a completely new and exciting direction, and it will be a much better story for it. Criticism is to be valued. 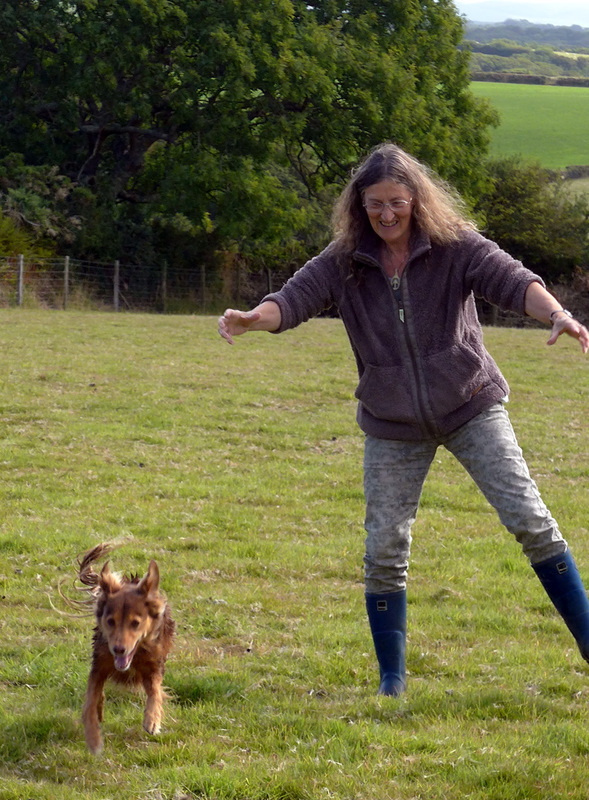 Rebecca Bryn lives on a smallholding in West Wales with her husband, rescue dog and a flock of sheep. She writes thrillers about subjects that are close to her heart: love, loss, courage, cowardice, injustice, forgiveness in emotionally-challenging situations. A self-taught artist, she also paints the stunning Pembrokeshire coast in watercolours. Thank you, all. I really enjoyed answering these questions.